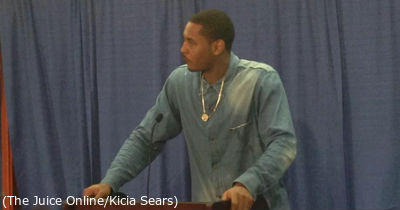 Item: With only nine conference wins in four seasons, and last season’s upset of then No. 17/19 ranked Virginia Tech in the Dome the biggest among those victories (along with the 2013 road win at N.C. State), was it any surprise that Syracuse was picked sixth in the Atlantic Division in the conference pre-season poll released Monday morning? The results represented a tally of the 167 votes of media members in attendance at the football kickoff event in Charlotte last week, and for a fifth straight year the message has been clear; until the Orange win more games and make annual bowl game appearances, it’s going to remain a steep hill to climb in a division loaded with two of the last four national champions, along with the reigning Heisman Trophy winner. 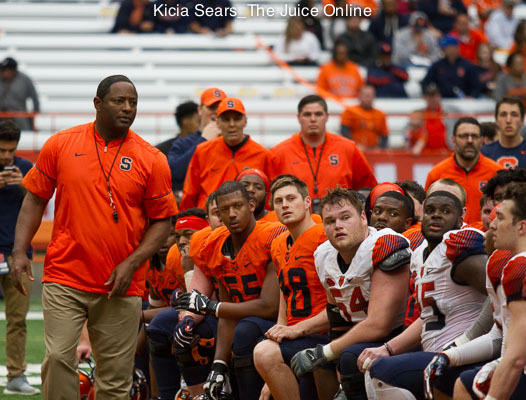 The “F” word will define 2017 Syracuse football. Now, now, nothing naughty. It’s the word “Faster” which appears all over the place including 2017 promotional pieces, ticket ordering forms, and vertically in two letter groups as “FA ST ER” with each of the letter groups on top of each other on the cover of the media guide. How that quest for running the offense at an even faster pace than last season with an aim to hit its stride by late September will translate to more victories remains to be seen, but with so many important components returning to run the show, the first three Dome non-conference games provide the perfect opportunity to tee up the points for a program that scored 61 in the final game of last season. 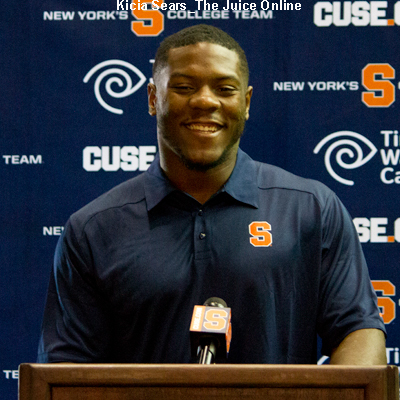 Even though SU trailed Florida State, Clemson, Louisville, N.C. State and Wake Forest in the preseason poll, only slotted ahead of Boston College in the Atlantic, Eric Dungey did finish sixth in the voting for preseason player of the year, and by the results is ostensibly the third team all conference quarterback behind Heisman winner Lamar Jackson of UL the pick for player of the year, and second place finisher Deondre Francois of Florida State. Plain and simple, a healthy Dungey makes the ‘Cuse more dangerous than the sixth best team in the division, even drawing Coastal Division preseason choice Miami as this year’s crossover road game to add to Pittsburgh and the Atlantic games. In addition to his standing among the ACC’s top returning quarterbacks, Dungey is one of 11 league players on the Maxwell Award watch list, and Tuesday wide receiver Ervin Phillips was one of six from the ACC named to the Biletnikoff Award watch list for top receiver. 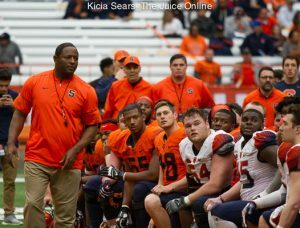 At media day last week the Syracuse players on hand, Dungey and linebacker Zaire Franklin, attending the event for a record third time, noticed less media coverage in the room than for the likes of Florida State, Clemson, and Miami, when it was time for them to take their turn on the stage.